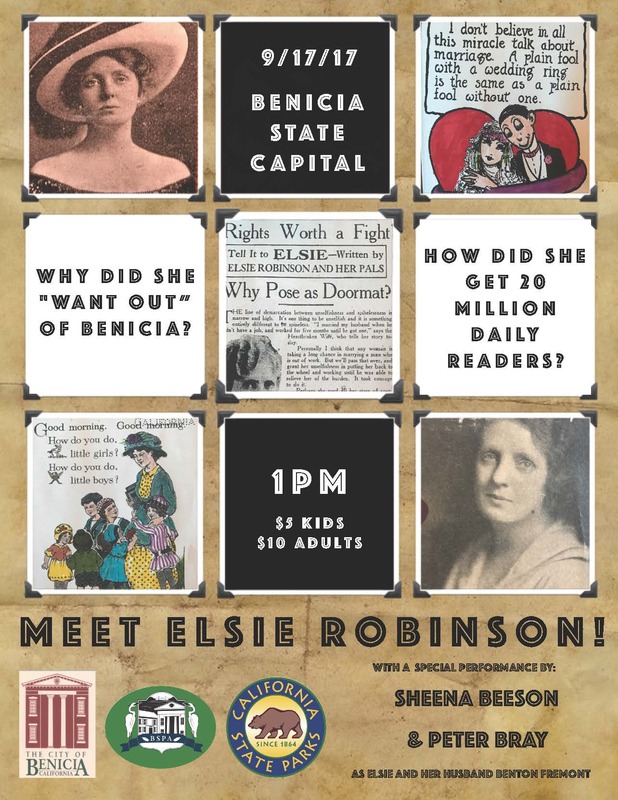 Former Benician, artist and nationally-read newspaper columnist, Elsie Robinson, commanded a following of 20 million daily readers in the late 1930s. 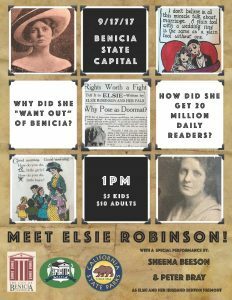 Come find out more about the woman one fellow journalist called “the most interesting woman in the world” and what drove her fans to write her more than 2,000 fan letters a day. Performance by Sheena Beeson as Elsie and Peter Bray as Elsie’s husband Benton Fremont.